This review is about item#41065787. 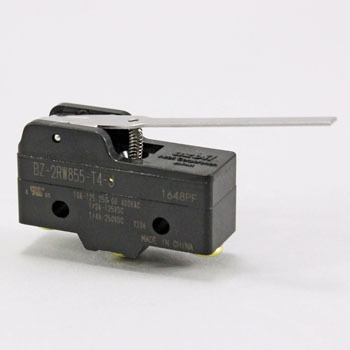 Yamatake's microswitch BZ series are often used in old machines. It is extremely helpful to keep in stock. This review is about item#41065595. I used it for repair. I came the day after ordering so I could repair it immediately. This review is about item#41065604. There is a sense of security with the finished product. It is a good product that has never had a problem. Footswitch attached about a year and a half aged out, replaced the built-in microswitch. I think that the lifespan of what was attached was short. Because it is an exchange to the same thing, I think that there is no problem. I was glad that I could repair it as it was. I could buy it better than the purchase from the place I always purchased. I can use it without problems, I would like to purchase repeat. It is saved for being able to devote it to parts cost of other worn parts as much as you can purchase at a reasonable price !! I am saved because it will be sent soon when I want it. I did not spend time, labor, transportation expenses etc thanks to this place which I had to go to find Akihabara (it was doubtful whether I was found even if I went).